A charity which supports children with disabilities is being investigated after complaints from families. The Charity Commission said it had opened an inquiry into Bristol-based Darren Wright Foundation over families' concerns in "accessing funds". It said other complaints included "difficulties" in communicating with the foundation which the commission had "also experienced". The charity said it "looked forward to working with the commission on this". The Charity Commission said it had "engaged with the charity" in August following complaints from members of the public, which included the "families of beneficiaries of the charity". It said difficulties in communicating with the charity led to the opening the inquiry to examine the "administration, governance and management of the charity by the trustees". The commission "stressed that opening an inquiry is not in itself a finding of wrongdoing". A spokesman for the Darren Wright Foundation said: "We have been aware of the Charity Commission's intentions to open an inquiry and have opened dialogue with them several days ago in response to this, and hope that the outcome is positive for all concerned." He added the foundation was "aware of the communication issues with families". 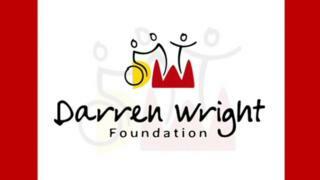 The Darren Wright Foundation aims to help families of disabled and seriously-ill children by funding therapy, medical treatment and specialist equipment.